Delivery of a robust and fault tolerant fibre backbone and associated structured copper cabling to support critical and non-critical site services and users whilst maintaining and respecting special conservation and indigenous sensitivities at a large industrial site (24 Buildings). 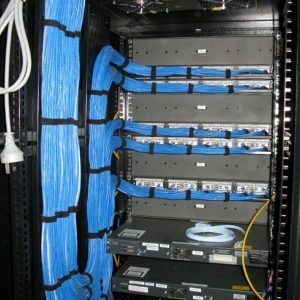 Design, install and commission a “Redundant Ring” single mode optical fibre backbone and Cat6 horizontal cabling designed for heavy industrial installations to support connectivity of Computer Network, CCTV, Fire Monitoring and Building Management services. Since the project’s completion in 2014, NTS has not had one call back for warranty repair or performance issues which is a testament to the quality of our products and installations.